I don’t know where to start really….. 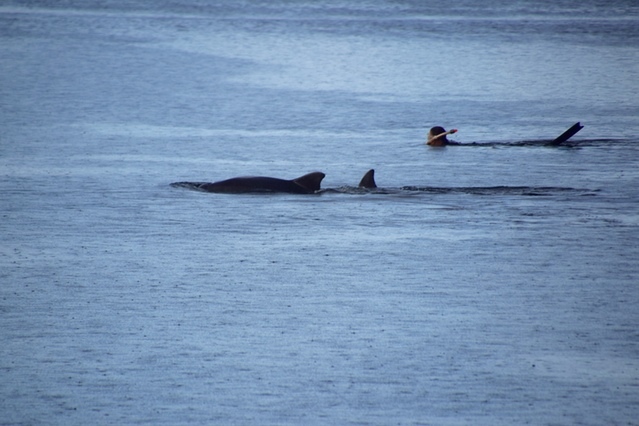 The two bottlenose dolphins that showed up in front of the ‘headquarters’ of the Dolphin Swim Club, on the launching day of the project here on the other side of the Kalmarsund in Sweden, became national news! On the evening of Monday the 21st of September, in the pouring rain, but with a calm sea, I went in to swim with them! When I looked up after spending almost two hours in the water, I saw a stunning rainbow over the island of Öland, where we live. Swimming with dolphins, in the Baltic Sea? Where they are not native, it is truly a miracle, and I feel so blessed to have once more enjoyed their company. That is why we started this project, to share this experience, just to have a taste through Virtual Reality. Here in Sweden, everybody is pretty excited about it. More and more people are gathering in the harbour to catch a glimpse. It is an absolute joy to watch how the dolphins enchant everybody! 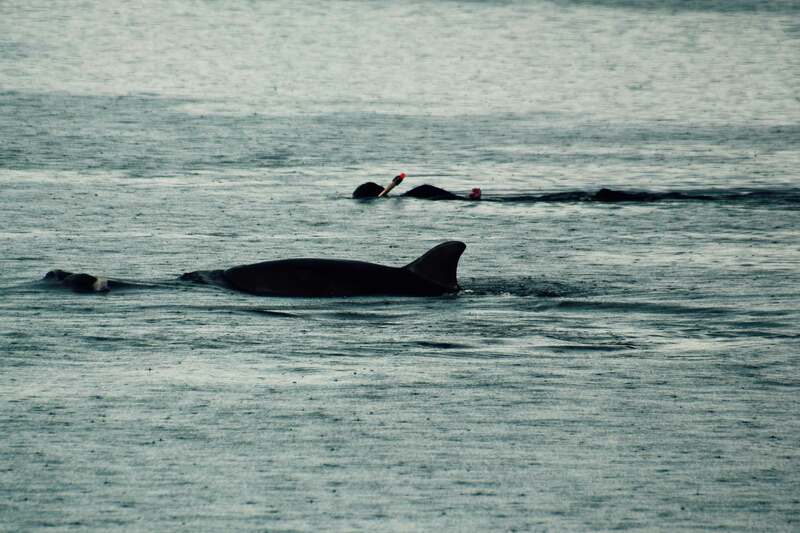 Since it is probably the first time anyone has been swimming amongst dolphins in the Baltic Sea, we have been interviewed for Swedish television, radio and newspapers.